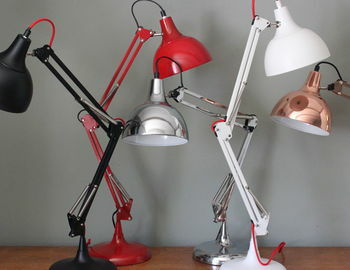 A fantastic chrome angled table lamp. 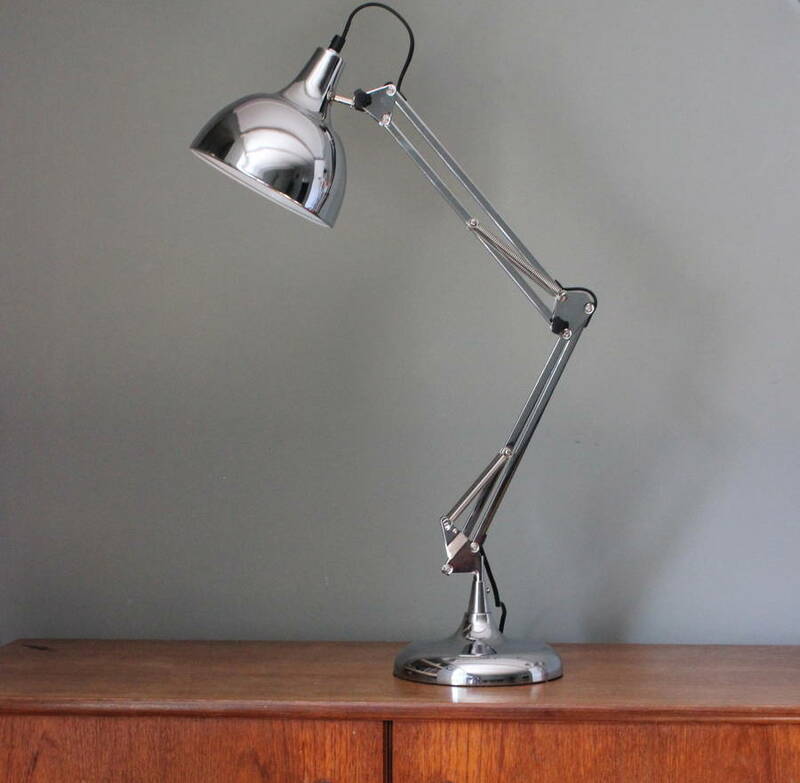 This adjustable table lamp comes in a cool chrome with a cotton flex and is great to have on your desk or bedside table as a reading light. It has a good, sturdy construction and is adjustable.